This year, the team members of the Urban Waters Learning Network are digging deeper into a topic that has long been a concern of our members: the gentrification and displacement of people that we see taking place in our urban communities, oftentimes following efforts to revitalize and reinvest in the places we call home. We are addressing these topics by surveying our network members and by producing blog posts, webinars, impact stories, and other resources. The following is the second blog in a series focusing on anti-displacement (find the first blog post here). 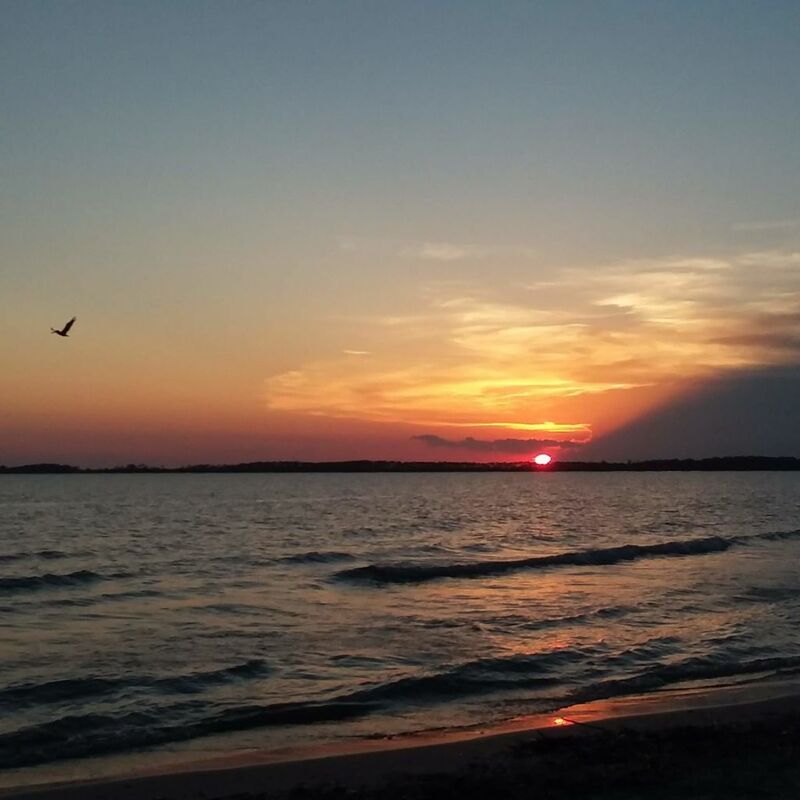 As I wade through all the responses to our recent survey of Urban Waters Learning Network (UWLN) members and my notes from individual conversations with UWLN members and from my research, PARTNERSHIP is a theme that continues to come to the forefront. Multi-sector partnerships (as suggested in the Healthy Development Without Displacement report by the Prevention Institute) are of the utmost importance to ease displacement pressures. While we, as urban waters practitioners, do not need to come up with all the policy solutions ourselves, we should know how to make the right connections and have the right people at the table. This is the path to equitable development. 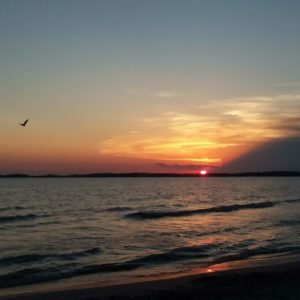 In search of the answers to some of these questions, I have spoken with other members of the UWLN and our team has made connections beyond the network. Through that exploration, I have found a few examples of people who are working across boundaries, uniting organizations, and putting policy into action with the goal of revitalizing their communities while helping the original residents stay in place. Urban growth and economic development are often felt at a regional scale; and solutions need to be established across municipalities. Julie Wormser, Deputy Director of the Mystic River Watershed Association (MyRWA), has a lot of experience with collaboration. In fact, she considers her coalition building experience to be the biggest asset she brings to her work. Together with the Consensus Building Institute, the MyRWA formed the Resilient Mystic Collaborative. Building on climate resilience work already started in the region, in the span of 6 months the Collaborative has brought together 12 of the 21 municipalities within the Mystic River Watershed to work together. Because the negative impacts of gentrification and displacement play out in multiple ways (e.g. availability of affordable housing and good jobs, loss of cultural assets, etc. ), the solutions require multiple organizations with complementary goals to tackle it. But it can also be a challenge to work with multiple entities that are doing related work. Erin Garnaas-Holmes—the Anacostia UWFP Ambassador and a project director at the Anacostia Waterfront Trust—is taking on this challenge with hope. As the Ambassador, Garnaas-Holmes is viewing the larger picture and calling on the many organizations working in the Anacostia Watershed to create a unified vision for the waterway. Within the Anacostia region, there are several exciting projects have the potential for unification as well as equitable development: Resilient DC and the 11th Street Bridge Park. Washington DC joined the 100 Resilient Cities program in 2016 forming Resilient DC, a government-led resiliency initiative, with the goals of creating partnerships and providing funding opportunities to meet the needs of vulnerable populations. Growth in the Anacostia River Corridor—where waterfront development and infrastructure investments come face-to-face with gentrification and displacement dynamics—has the potential to unify historically segregated sections of the city while improving environmental health of the river. 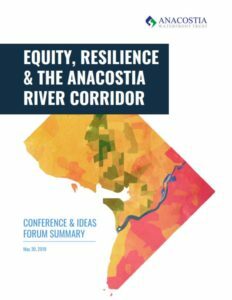 While it is still unclear if Resilient DC will be the main unifying entity for the many organizations working within the Anacostia Watershed, it is much clearer that equity and anti-displacement are at the forefront of planning processes. 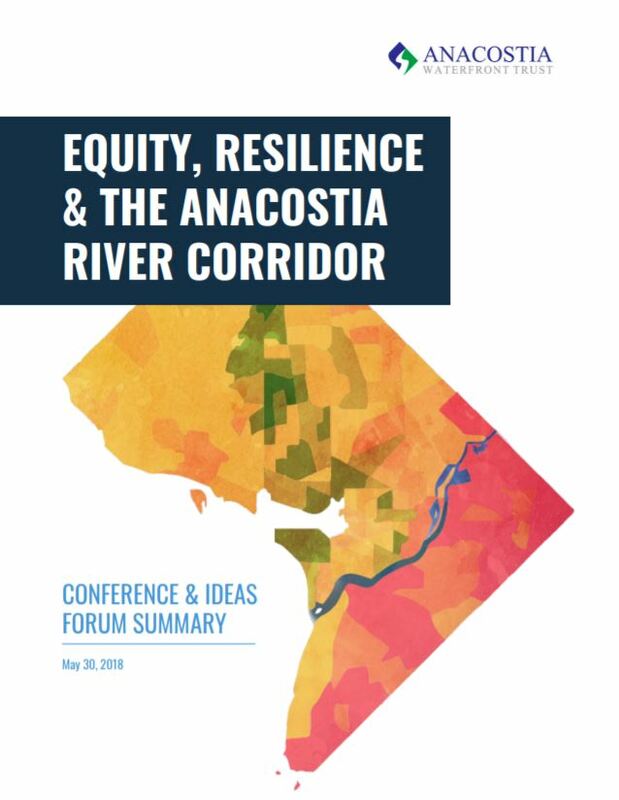 In May of 2018, the Anacostia Waterfront Trust, the Anacostia UWFP, and Resilient DC hosted the Equity, Resilience, and the Anacostia Corridor conference. Following the event, Resilient DC also developed working groups to identify ways to mitigate the pressures that contribute to displacement in the Anacostia Corridor. These groups have explored how community land trusts and homebuyers clubs could help, while identifying equitable development case studies and best practices. A plan for equitable development already exists within their watershed—the 11th Street Bridge Park Equitable Development Plan. And, members of the Resilient DC working groups are drawing on the experiences of the plan developers as a resource. The 11th Street Bridge Park—an initiative of Building Bridges Across the River—may be one of the most familiar Equitable Development Plans to urban waters practitioners, and for good reason. From the beginning of the project, coordinators have aimed to prevent the displacement of current residents as the new park space is built. Leaders adopted four strategy areas, including housing, small business, workforce development, and arts and culture. A recent report from the Urban Institute—Equitable Development and Urban Park Space—shares results and insights from the first 2 years of implementation of these strategies on the Anacostia. The leaders in the Bridge Park project have accomplished a great deal, as listed in the table below. 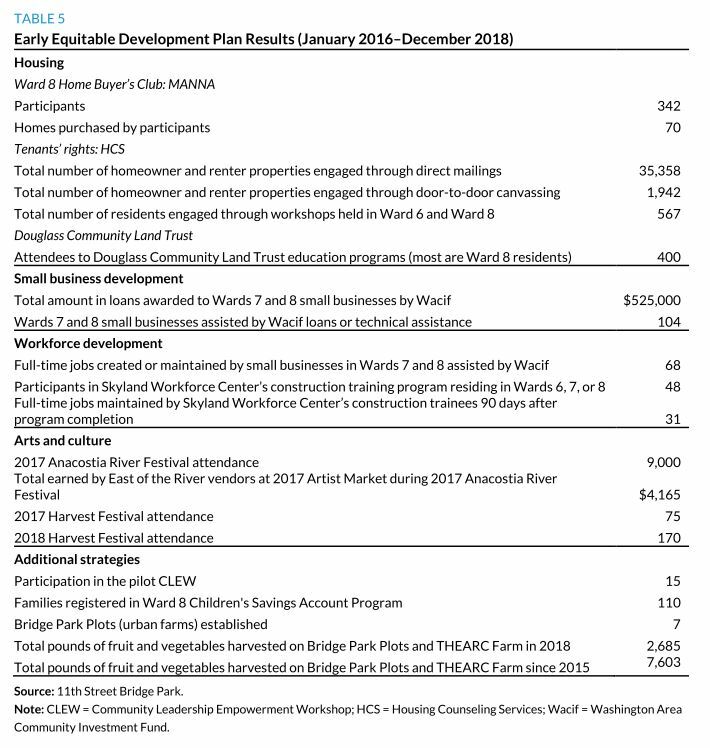 The table displays results of the 11th Street Bridge Park Equitable Development Plan, from the Urban Institute research report, Equitable Development and Urban Park Space. The message is abundantly clear: no one entity can achieve the goals of equitable development alone. Forming strong partnerships and working together is key. We at the UWLN have been making our own connections around anti-displacement policy related to the kinds of work that we do. We are excited to learn that, as we have been wondering what we can do to revitalize communities without displacing the very people who live there, policy-driven organizations like Policy Link have been wondering how to make more environmental organizations aware of their work. We’ve also made connections with a collaboration in Portland, called Living Cully, that has created a strong multi-sector partnership in the Cully Neighborhood of the city. We are eager to highlight the work of both Policy Link and Living Cully in an upcoming webinar on May 15th introduced by Paulina Lopez Robin Schwartz (from Duwamish River Cleanup Coalition/TAG) and presented by Chris Schildt (a Senior Associate at Policy Link) and Tony Defalco (Verde’s Executive Director). You can register for the webinar HERE.